When it comes to ETA, there are a lot of friends who don’t know what ETA is. Maybe you often hear the letters “ETA”, but don’t know what ETA means? In fact, this is the meaning of the EAT movement. ETA is the world’s largest manufacturer of finished and semi-finished movements. Let’s take a look at the detailed introduction of the EAT movement. The ETA movement is the cornerstone of Swatch, and its history dates back to the end of the 18th century: a watch factory established in 1793. In 1855, another factory specializing in the manufacture of “Ebauches (semi-finished watch movements)” was opened. It was later named ETA. As one of the world’s largest manufacturers of watches and movements, its annual output has exceeded 100 million. 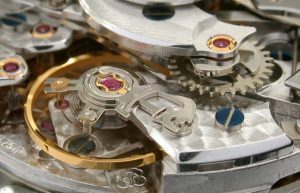 ETA’s main business is: to ensure the technical research of Swiss watches; to develop accessories for low-cost & large-scale production of movements and whole watches; to master all the technologies of watches and production machines; to assemble movements and watches in batches; ETA self-research and Development. The ETA movement’s professional skills are consistent and balanced, and it is quite good in terms of stability and durability, and accuracy in travel time. Some people have done statistics. 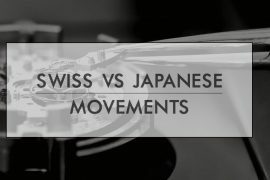 Today, more than 85% of Swiss watches on the market use ETA movements. 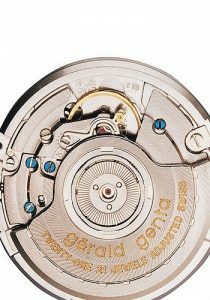 Among some Swiss brands, such as Ulysse Nardin, IWC, Hublot, Breitling, Panerai, Chopard, Tudor, TAG Heuer, Baume & Mercier, Longines, Titoni, Hamilton, Mido, Tissot, Certina, etc., all of which can be found the trace of in ETA movements. 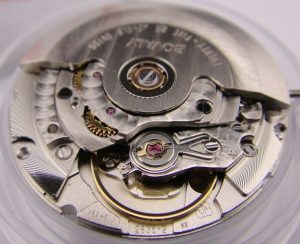 As one of the world’s largest manufacturers of watch movements, the ETA movement has a strong technical precipitation and strength, and basically covers all the functions of the watch! ETA movements have many models, which are well-known in terms of accuracy, stability and durability. There are five major ETA classic movements. Now introduce 2892A2, which is considered the ace of ETA2892-2. ETA2892A2 was born in 1980, positioned as a mid-to-high end. The movement is only with 3.6 mm thickness. In terms of thickness alone, the ETA2892A2 movement is far ahead of most of the self-produced movements on the market. 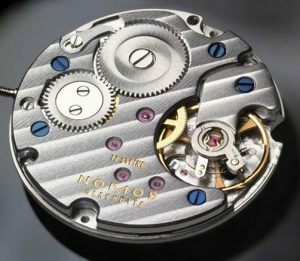 In addition to a few brands featuring ultra-thin, there are few automatic winding movements with an organic core thickness of less than 3.6 mm. Due to the excellent performance and precise travel time of the ETA2892A2, the models equipped with this movement are often sold at a high price. A timepiece is with high artistic value. It not only has timekeeping, appreciation and preservation, but also personal taste and identity. Some people pursue brand awareness, and some pay attention to its complexity. Due to its excellent design and high stability, it is widely used by various brands. 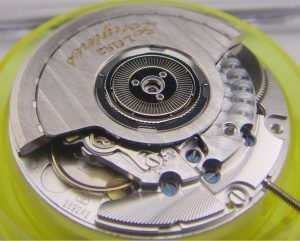 The 2892A2 movements has a higher grades. It is often used by well-known mid-priced brands in higher-end models, especially the Chronometer. 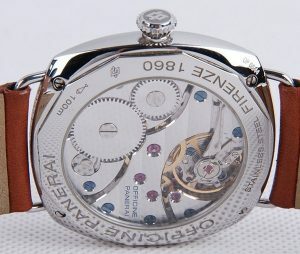 Even some brands that are listed in the premium watch used, too, but they pay more attention to polished and carved workmanship. At the same time, ETA2892 is one of the most sophisticated and stable models recognized by all watchmakers. 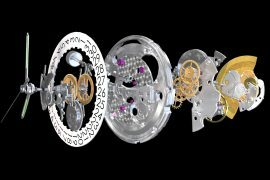 It is equipped with a ring-shaped balance wheel, 21 stones, two-way automatic winding, 28800 vibrations per hour, with an “eccentric screw trimmer” for precise fine-tuning. 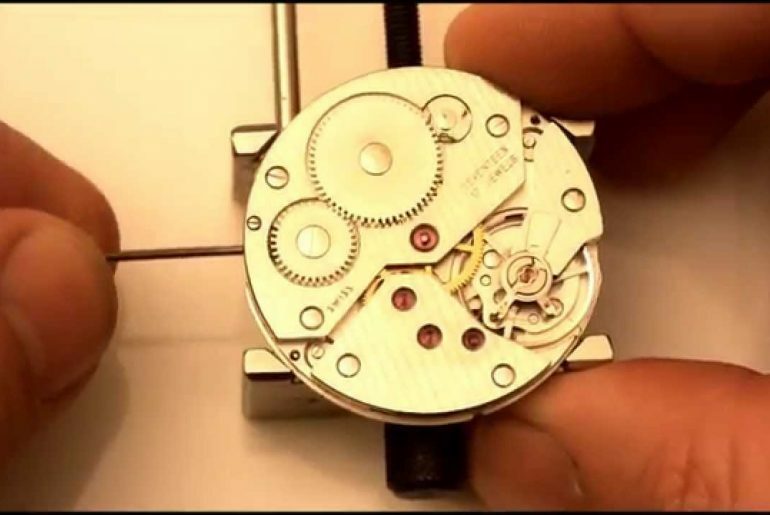 Because the quality is good, just a little bit can be transformed into a well-designed movement, even the recent popular OMEGA coaxial escapement watch also used the machine that was modified to 1120 based on 2892, and then modified. In addition to the escapement system, the speed is adjusted by the two weight screws on the inner side of the balance wheel. 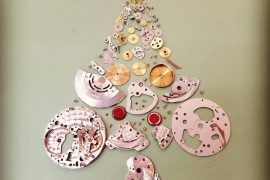 The OMEGA number is 2500, and the number of rubies is increased from 23 (in the 1120) to 27, and four more are installed separately in pallet, balance wheel and transmission wheel (2 pieces). Like the ULYSSE NARDIN watch, the timepiece trilogy set astronomical watch also uses 2892 as the basic movement, becoming an ultra-small and complex astronomical watch, called the greatest masterpiece of the ULYSSE NARDIN watch. 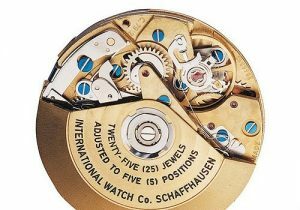 In Cartier, IWC, Longines, Montblanc, Ball, Juvenia and other brands, you can often find the ETA2892-2 movement. The ETA7750 is another proud model. Its predecessor was the Valjoux 7750; Valjoux is a well-known movement manufacturer, especially famous for its complex chronograph movement. The ROLEX manual winding Daytona is equipped with its 72 movement, making it a hot watch today. Valjoux 7750 was created in 1974. It was originally designed with only 17 stones and was later changed to 25 stones. After the acquisition of ETA in the 1980s, few people now use the term Valjoux, unless those movements produced before the merger in the 1980s used the old name. ETA 7750 was released on July 1, 1974, and became the model that ETA is proud of. It has been used in various brands of self-winding chronographs and complex function watches for many years. The standard 7750 features 17 rubies, 42 hours of energy storage, 28,800 vibrations per hour, a one-way winding design, the same fine-tuning device with the same principle as the eccentric screw, and a scale indicator for fine-tuning operation. If the ETA2892A2 is customized for the high-end market, then the ETA2824-2 is designed to meet the darling of the low-end market. The structure of the ETA2824-2 is slightly thicker than the ETA2892A2. The upper chain is simpler than the ETA2892A2, and the three screws fixed changes to a single screw. This method lets the ETA2824-2 never have the drawback of insufficient winding. 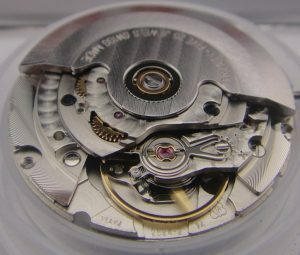 The self-winding movement with a calendar equipped in this watch was introduced in the 1970s, with a diameter of 25.6 mm and a thickness of 4.6 mm. It contains 25 jewel bearings and has 38 hours of power reserve. The jewel bearing, also known as artificial ruby, has a very hard texture. The Moh’s scale of hardness is up to 9, second only to diamonds. It is mainly used in the shaft end, the pawl and the escapement parts of the movement, which has the effect of reducing friction. At the same time, it also has aesthetic decoration. Based on the ETA2824-2, the movement is “transformed” and becomes ETA2834-2 or ETA2836-2 after the calendar and the week module are installed. According to blogger’s experience, if a watch equipped with an ETA movement has a day and calendar window at 3 o’clock, most of it is ETA2836-2, and if the day time is separated from the calendar, such as the week window is at 12 o’clock, the calendar window is at the 3 o’clock or 6 o’clock position, it is mostly ETA 2834-2. ETA2824-2 and its derivative movements are often seen in many popular Swiss brands such as Tissot, Mido, Plum, Tudor, TAG Heuer, Baume, Breitling, Hamilton and other brands. They are generally polished on the oscillating weight and engraved with the brand logo. Unitas’ classic 6497, originally used for pocket watches, is a hand-wound movement. After being acquired by ETA, it was naturally classified under the ETA. After the quartz storm that suffocated the Swiss in the 1980s, the 6497 became the last large-size pocket watch movement. In the circumstances, the 6497 was difficult to use, since it is too big. Every dog has its day, this calibre achieves a considerable height in terms of precision with its own “big appearance”, and it is simple in structure and easy to maintain. Originally the movement was unknown, the 6497 ushered in its own spring, because the big size watch was coming, and with the rise of Panerai, the size of the 6497 catered to the needs of almost all large cases. Because the 6497 is large and reasonable in structure, it is surprisingly accurate in terms of accuracy. Although it is only a low-frequency pendulum of 18000A/H, it can easily pass the COSC certification, and many other high-frequency movements are defeated. It can be said that ETA6497 has its current status, Panerai is indispensable. ETA7001 can be said to be a summary of the traditional Swiss watch road. It is also a hand-wound movement, but looks small and exquisite, unlike the 6497. Since the size of the 7001 is much smaller than 6497, the swing frequency is also raised from 18000A/H of the 6497 to 21600A/H. Some people always think that it is more perfect to reduce the swing frequency of the 7001 from 21600A/H to 18000A/H. Like the classic combination of the ETA2892A2 and the ETA2824-2, the ETA7001 is a great complement to the field of small-calibre hand-wound movements. People have to admire the power of the ETA movement since it firmly controls the movement of the watch. If Breguet, Glashutte Original, Omega, Jaquet Droz and other brands are the top brands of the Swatch Group and prop up the entire Swatch Group, then ETA is the real reinforced concrete foundation within the entire group. ETA is not only responsible for the development of the movement itself, but also responsible for the design and development of its own production equipment. From ideas, to design, R&D, a small amount of testing, mass production, and to quality control, ETA controls the entire process in an orderly manner.